Design painting is basically anything you want it to be with an artistic flare added to it. 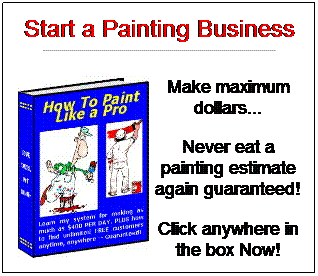 It can be anything from faux painting to mural painting to a colorful way to paint a house or a car. In this article we will focus on the home. Faux – painting rooms with the end result in mind in more for an interior decorator. That person and the homeowner knows what they want the end result to be. With faux color designs or patterns they can match the woodwork color (or choose it) and what they want each room to “feel” like. They have set furniture in mind, carpet colors, tile work, etc. Murals – another way to express color in certain rooms. Dinning rooms, living rooms and bedrooms are all perfect choices for a wall or ceiling mural. You can hang large, hand painted, canvas murals on your walls and you can even order vinyl wall coverings online to add to a theme wall. These wall coverings are reproductions of nature scenes and other cool designs. Nothing looks nicer that a large, expensive home where they go all out with classy paint colors and expensive furniture and other pieces like vases, pictures, fine art, etc. 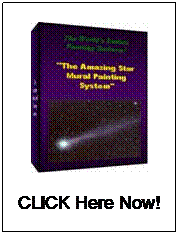 Star Murals – here is a neat form of painting design that can only be enjoyed in the dark. You can have an elaborate glow-in-the-dark replica of the night sky painted on your bedroom ceiling or in a game room, etc. You can do kids themes or an advanced space themes with the Milky Way added to it. Kids, teens and adults all enjoy UFO’s, sci-fi characters and cartoon characters as well blended in among the stars for a cool 3-D look. Enjoy this article for design painting? Go here for more handy tips.